Whoa the opening was one that really made me sit up, take notice and raise my heart rate like that of Jane Richardson as she is faced with a choice, one similar to the one I had to make late at night after work too. Should she take the short cut home, a much darker and deserted way that cut precious minutes from an already very long day or walk the safe but long way home? Believe me it isn’t common sense that makes the choice, it is your feet after a 14 hour shift. Her feet won and my nightmare became her reality. 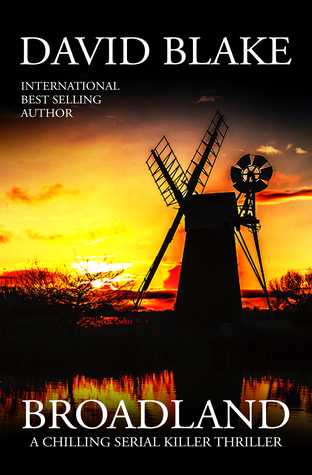 This is the first book in a new series set on the beautiful Norfolk Broads. DI John Tanner has transferred from London because of a personal tragedy, in the hope that the pace is much slower and the day-to-day problems much smaller. He is paired with DC Jenny Evans to find his feet and get to know the locals and area, with the first case they are to follow-up on being that of a missing woman. Evans is a speak first think after sort of young woman, with her tongue in cheek remarks that give her and Tanner perfect banter. They have a real ease with each other making some light-hearted moments with such an intense story but the perfect working team for the job too. Not everyone at the station are happy with Tanner’s position. This is a real who dunnit and why? 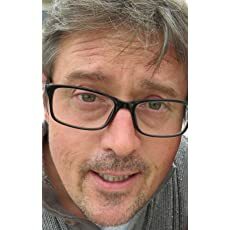 especially when a second murder takes place and what begins as a shocking start slows down to the ground work of investigating and the thought of 4 mph police chases taking place on the Norfolk Broads bringing a smile to my face, before going to full throttle with a ‘I didn’t see that coming ending’. What a tremendous story, I was totally caught out and for once speechless. Belting. Bring it on! Haunted by demons past and present, geologist Ann Salter seeks sanctuary on the exotic island of Lanzarote. There she meets charismatic author Richard Parry and indigenous potter Domingo, and together they explore the island. 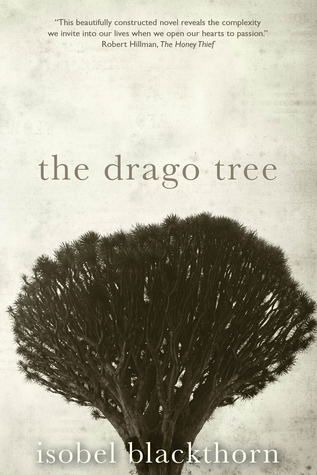 Set against a panoramic backdrop of dramatic island landscapes and Spanish colonial history, The Drago Tree is an intriguing tale of betrayal, conquest and love, in all its forms. Although I have never been to Lanzarote Isobel Blackthorn gave this island a personality, a ruggedness that can be dangerous and exquisitely beautiful in the blink of an eye. The story has a central character Ann Slater who is on a journey of discovering who she really is but she isn’t on her own. Author Richard Parry and potter Domingo certainly help to make it a colourful adventure in more ways than one. Ann is coming to terms with a failed marriage and estranged relationship between herself and her sister, which has gone on for years. Her strange choice of Island touring partners makes for some rather raw cutting observations, short tempers and brutally looking at herself from a different angle than before. Richard isn’t the most sensitive person to have round and isn’t afraid to let her know what he thinks of her views. The story is pretty balanced between the Island itself and the road which Ann is eventually going to head for in the future. The story drops back to a rather strange childhood both with her mother and sister. There is so much self-healing and forgiving that has to take place, no more so than with herself. Until she can find peace then she simply can’t move forward. At times this is a strange story and at others there is such a deep sadness about it. It is mesmerizing. Isobel Blackthorn is a prolific novelist of unique and engaging fiction. 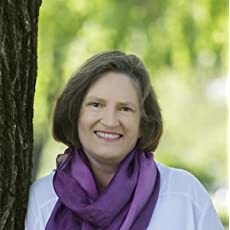 She writes across a range of genres, including psychological thrillers, gripping mysteries, captivating travel fiction and hilarious dark satire. Isobel holds a PhD in Western Esotericism for her ground-breaking study of the texts of Theosophist Alice A. Bailey. Her engagement with Alice Bailey’s life and works has culminated in the biographical novel, The Unlikely Occultist. Isobel carries a lifelong passion for the Canary Islands, Spain, her former home. Many of her novels are set on the islands, including The Drago Tree, which was released in 2015 and is now in Spanish translation, Clarissa’s Warning and A Matter of Latitude. These novels are setting rich and fall into the broad genre of travel fiction, and the novels are as much stories about the islands themselves as they are straight-ahead entertainment. Isobel has led a rich and interesting life and her stories are as diverse as her experiences, the highs and lows, and the dramas. Some of her writing is dark, like the psychological thriller, Twerk, which is based on six years of research and first-hand accounts of dancers working in what are euphemistically called gentlemen’s clubs. Anna has many reasons for wanting to get away from her past but she simply can’t escape ‘herself’. There had been a terrible accident and two people she worked with had died and one was left paralysed and she couldn’t help but put blame on herself, although it wasn’t her fault. Someone else blamed her too, as she felt that she was being followed and strange messages kept appearing. Her unsympathetic partner jumped at the chance of a split when she announced that she had taken a new job way out on one of Scotland’s smallest and least populated Islands, Rum. The owner of the small hotel where she was to work, the only hotel on the Island, was a lovely bloke, who like her had moved to the Island to escape life really after his partner had died on the main land. Anna was to help run the hotel, make guests welcome, clean the rooms, serve meals and attend the bar in the evening. When the seven guests arrive they are a varied bunch, each holding their own secrets but there was a bit of a cuckoo amongst them who had a much larger agenda in mind. When a huge storm hits the Island, cutting them off from the mainland both by boat and any form of communication things really begin to go bump in the night. The Island retreat for Anna has now become a very small world that she cannot escape from. From being the new employee everyone is looking to her to know the answers and someone is winding everyone up. Since the accident Anna couldn’t sleep without waking from night terrors. Now she daren’t close her eyes, there is no-one she can trust. This is a cracking story that just holds you from the very first chapter to the last page. All the characters on the Island have complicated pasts which come to light bit by bit, each one of them I had at one point or another thought as the person after Anna. It really is a heart in your mouth plot as she tries to delve into all of their lives to find her stalker before it is too late. The story also jumps back and forth to the main land with up dates about what is happening there too which had some pretty top quality red herrings to throw into the mix to make my pulse pound even more. Excellent stand alone story! She has also written a Young Adult thriller, THE TREATMENT, which was published by HarperCollins HQ and is currently writing her second, which will be published in June 2020. C.L. 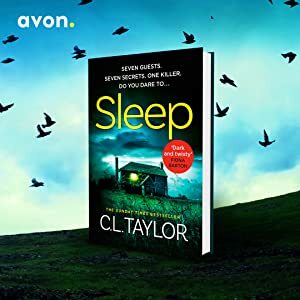 Taylor’s books have sold in excess of a million copies, been number one on Amazon Kindle, Kobo, iBooks and Google Play and have been translated into over 25 languages and optioned for TV. THE ESCAPE won the Dead Good Books ‘Hidden Depths’ award for the Most Unreliable Narrator. THE FEAR was shortlisted in the Hearst Big Book Awards in the ‘Pageturner’ category. Cally Taylor was born in Worcester and spent her early years living in various army camps in the UK acltaylorauthor.com nd Germany. She studied Psychology at the University of Northumbria and went on forge a career in instructional design and e-Learning before leaving to write full time in 2014. She lives in Bristol with her partner and young son. In the middle years of the 22nd century, humanity is dying. It is a time when a genetically-modified elite maintains discipline over humankind by way of murderous airborne drones. These Overlords are utterly ruthless in their desire to exploit the power of science to live forever. When strangers arrive in Baytown, a decaying Yorkshire village by the sea, they threaten Michael Pilgrim, his community, and all he holds dear with annihilation. Pilgrim’s struggle for survival against these strangers pits him against the Overlords and their unrestrained technology. Will Pilgrim succeed in altering his community’s destiny? Pilgrim must not only win allies among the bizarre cast of characters he encounters but also conquer dangerous foes closer to home. 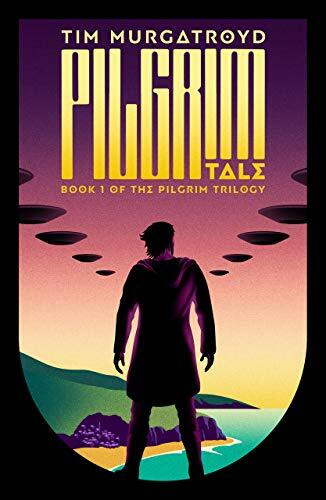 Pilgrim Tale is a richly poetic voyage through a frightening and plausible future. The world in this future is not a place I would like to be as the divide between the haves and have-nots is tremendous. In Baytown, on the Yorkshire coast, lived Michael Pilgrim who the local people looked up to for guidance, he and his brother live in the largest property around. When strangers arrived the leader made it clear that he would like the property and there was a feeling that he wouldn’t just stop at asking if the answer was no and no it was. The town’s population had dwindled with attacks from drones sent by the people of the city, which left many properties abandoned and decaying. Recently a new addition had come to the small town’s population when Helen arrived to be the curator for the museum. Helen was the sister of Mary the local doctor, but the age difference between them was far more than plausible, especially with Helen’s immaculate beauty. Helen had a relationship with a high official in the city which brought her some privileges too that would have been normally out of reach to someone like her. When drones arrive in the night chaos erupts . The drones are from the city where the rich and scientifically enhanced live in luxury wanting for nothing. The ability to balance scientific advancements to extend life and the quality of life stretched to its limits but for some even this isn’t enough. Disquiet was rippling through the city as well as on the outside of the walls. There were vast differences between the people scraping by in the small towns and villages while in the huge city it was like party time every day. With their colourful clothing, radiant beauty and needing for nothing but that was the problem in itself really. As the tension of the people rises, battles ensue. Characters I had got to know slain with shocking acts of greed out weighing family loyalties. The story ends with so many promises of brilliant themes to come from this the first book in the new must read trilogy. Another to watch! Tim Murgatroyd was brought up in Yorkshire. He read English at Hertford College, Oxford University, and now lives with his family in York. Tim became fascinated with Ancient China when he discovered a slim volume of Chinese poetry in a second hand bookshop. 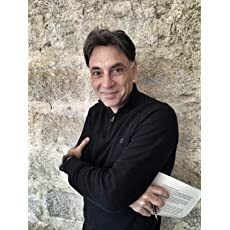 His first novel, Taming Poison Dragons set in 12th Century China, has been described as ‘a captivatingly original and unforgettable story of tragedy and enduring love’. The sequel, Breaking Bamboo, is the second instalment of a trilogy charting the trials and adventures of the Yun clan during the Mongol invasion of China. The third part of his trilogy, The Mandate of Heaven, set during the brutal Mongol occupation of China was published in October 2013. Taming Poison Dragons and Breaking Bamboo have now been translated into Chinese by the prestigious Shanghai Literature and Arts publishing house. 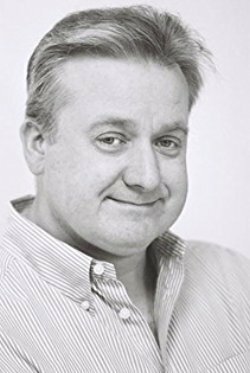 In an exciting new venture, Tim will be publishing a number of new e-titles with Matador (UK) in 2017. 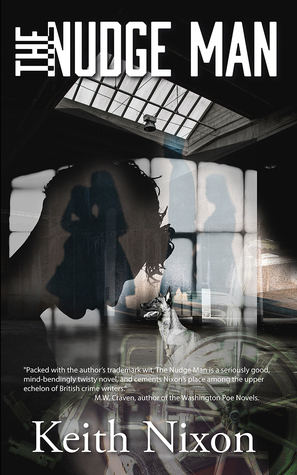 The Nazi’s Daughter, a haunting time-shift novel set in World War 2 and contemporary New York. Dust of the Earth, an epic love story set in troubled 1870s California and its fascinating early wine industry. Three e-booklets of poetry in a series called ‘Poems for Mobiles’: Lullaby, Drunk and The Stars are Apples. Please visit Tim’s website www.timmurgatroyd.co.uk for further information about the fascinating background to these novels and his poetry. This is book that although made up of short stories keeps pulling you back just to read the next one and then the next. 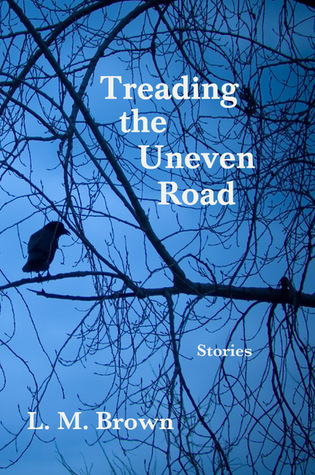 Set in a fictional small town in Ireland it tells the individual stories of the people left in a bit of a limbo after a by-pass has been built to take the busy traffic away from the town. The only thing is the traffic and the strangers that it brought were in a way part of the town too. The shops and businesses are suffering because of the lack of trade as they can now only rely on locals to keep them afloat. As anywhere else the people behind the doors of this community have their own daily lives, fears, hopes and insecurities. These are the stories of the people behind these doors. Some of the stories rest solely with them while others touch on people in previous stories briefly in this tight-knit community. Being such an isolated community some of the characters are more prominent than others, the key stones to keep this town going on but for some it had become more a place that people worked on to leave rather than make a future. I loved the variety, the quirkiness of some of these stories and the obvious rage that had built over years in others until it had to be let out and confronted. 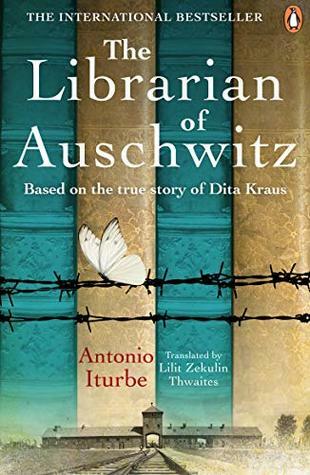 I don’t want to go into individual stories but want to say the author had me engrossed in each tale within its first page, with an instant feel for the main character telling their story. This is s super collection which is well thought out. 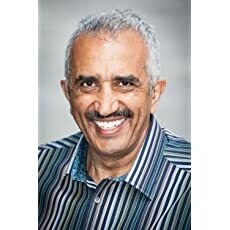 L.M Brown is the author of the novel Debris. Her stories have appeared in numerous literary magazines. She grew up in Sligo. Ireland, but now resides in Massachusetts with her husband, three daughters, a dog and a bearded dragon. 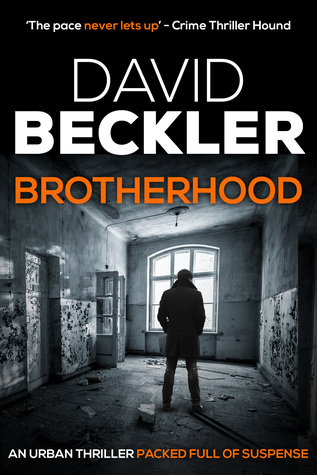 BROTHERHOOD is the first crime novel in the Mason & Sterling thriller series: gritty, hard-boiled page-turners with an urban setting. This is going to be one hell of a series to get on board with as this trio of books are being given a new look. The action is instant as I was thrown head first into the seedier side of Manchester. The first encounter of the violent under current was more the puffing of chests and strutting but young men will always be in the wings as wannabes that haven’t leant yet when to call it a day. So when a group of young lads, that like to think they are the real deal, decide to teach one of their own gang members a lesson, things go sour pretty quick leaving the nephew of one of the city’s top gang bosses dead and a small group of terrified young men knowing hell will be to pay for this. So throwing one of their own gang members to the lions seems like a reasonable solution to their dilemma. 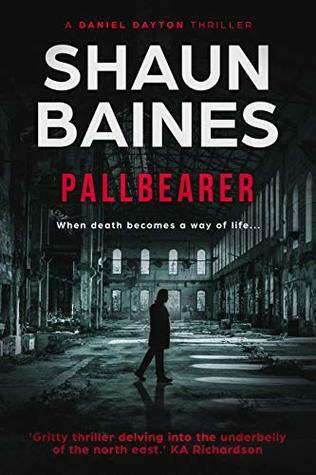 The series has two central characters, ex-marine best buddies Byron Mason, whose nephew in this story is being made the patsy for the murder and Adam Sterling now a fire fighter that is on call when murdered teenager Liam’s body is found among the debris of a staged fire. Mason already has a really colourful history with Liam’s uncle from their younger days, something that hasn’t been forgotten as the gangland boss makes clear. I must say that Mason and Sterling are one double delight of entertainment, from at times short fuses to roleplay when it suits getting a result. The police investigation gets heavily involved with the introduction to another, I would think, regular character, DCI Siobhan Quinn, as she winds her way into the story determined to solve the murder. But there is confusion as to who two strange characters are that keep bobbing up in reports, always one step ahead of her investigation team. The story that runs along side the murder is that of a boy soldier that has been dragged from his village and forced to take part in the most horrendous acts against his own people. This story seems in warp speed against present day events covering years of abuse, rescue and second chances to bring it up to present day. This story just buzzes from beginning to end and is far from finished yet. Yes it is a complete story but it promises to give so much more from these characters in the next two books. What a start! I like writing about protagonists with a strong moral code who don’t fit in with conventional society. I also enjoy writing about baddies and how they arrived at their fallen state. When not writing I try to keep fit, socialise and feed my voracious book habit. 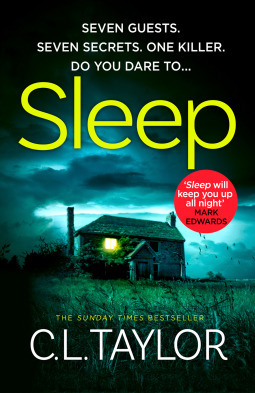 From The Sunday Times bestselling author of the Helen Grace series comes the gripping new thriller perfect for fans of James Patterson, Angela Marsons and Karin Slaughter. With just one look, she knows how and when you will die . . . Nothing surprises Adam Brandt anymore. As a forensic psychologist, he’s seen and heard everything. That is, until he meets Kassie. Because she claims to have a terrible gift – with one look into your eyes, she can see when and how you will die. Adam doesn’t believe her, obviously. But then a serial killer starts wreaking havoc across the city, and only Kassie seems to know where he’ll strike next. He just doesn’t realise how dangerous this trust might be . . . When fifteen year old teenager Kassie gets accidentally knocked to the ground on a busy street by a stranger it sets her on a terrifying road that she cannot get off. Kassie has always been known as a bit of a weird girl, a one of a kind who has learnt to keep herself to herself, but when her eyes meet those of the stranger she sees and feels how he will die. It will be very soon, very violent and the beginning of a serial killers reign that weaves itself into her life and those connected to her. Forensic psychologist Adam Brandt is the man assigned to work with the crazy girl who swears she can see every persons death if she looks into their eyes. It is his responsibility to help her cope with these delusional feelings. Surely reports of the man brutally murdered has to be a coincident to this young girl’s ramblings. When Kassie becomes obsessed with one of his colleagues Adam begins to doubt his own logic. He wants to ask her if she can see his death but changes it to can she see her own. The answer is one that sent ripples of cold through me and turned him speechless. 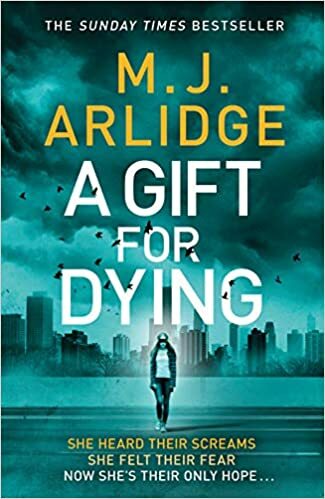 This is a stand alone novel by MJ Arlidge and although there is of course police involvement in the story it centres round Kassie, Adam and the killer. This is a very graphically detailed story, including the murders which are performed to give to killer the greatest fulfilment and his victims the most prolonged and painful death. As a reader you find something out early on and the more I became invested in the story and the main characters the more worried I became. The tension is tremendous, with the last few chapters agonising, brutal and off my adrenaline scale of scary. An absolute brilliant read and perfect stand alone novel. I wish to thank the Publisher and NetGalley for an e-copy of this book which I have reviewed honestly.